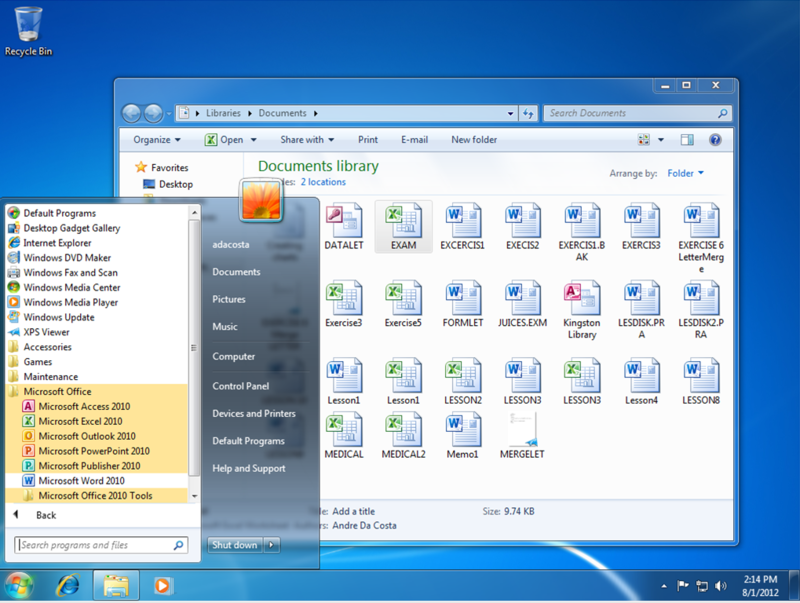 In this final series looking at upgrading to Windows 8, we transition from the most recent version of Windows, Windows 7. Launched in October 2009, Windows 7 is Microsoft’s most successful release of the operating system to date. With an estimated 630 million licenses sold, Windows 7 probably represents the pinnacle of success when it comes to client operating systems. Is it worth upgrading to Windows 8 from Windows 7? This is ultimately a personal decision, Windows 7 is a modern operating system that supports all the advances available today in hardware and software. It also prepares for a future that is centred around mobility and touch. Windows 7 also supports many of the significant changes that have occurred on the Internet in the past 10 years. What more could you really want in a desktop OS? Fast Boot – Windows 8 boots significantly faster than Windows 7, in fact on an SSD, I can have Windows 8 up and running in 5 to 7 seconds. 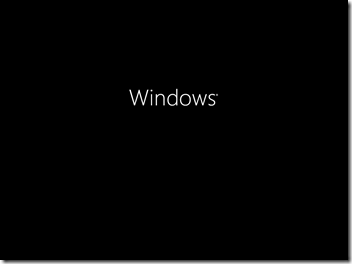 Fully Touch Ready – This has been a miss on on prior versions of Windows going back to Windows XP Tablet PC edition. 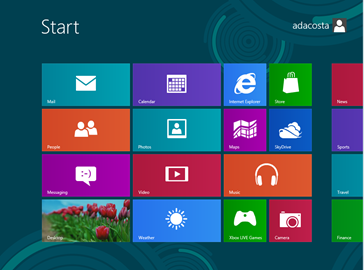 Windows 8 features a smart, fluid and fast interface that is significantly engineered for Touch called the Start Screen. There is just no disadvantage when using it with Touch. You can swipe, pan, zoom and do all the key actions expected on a Touch device. Microsoft has also created an environment that will encourage third party developers to create touch ready applications just for Windows 8. These applications will not run on Windows 7. Fully compatible with existing hardware and software. If it works with Vista or Windows 7, it is guaranteed to work with Windows 8. Tighter Internet integration – Windows 8 features a holistic integration with services that deliver information right to your screen without much need for you to find and discover it. 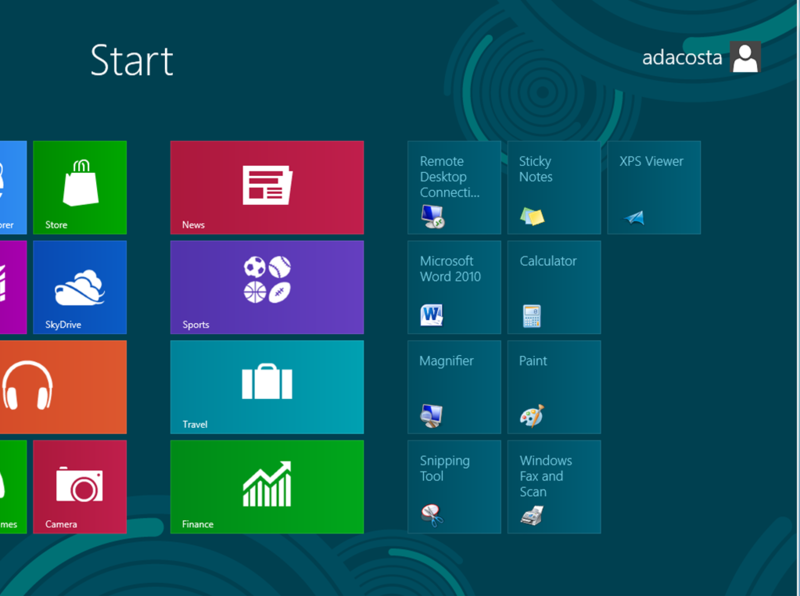 The ability to sync information across multiple devices makes Windows 8 a truly Internet ready operating system. 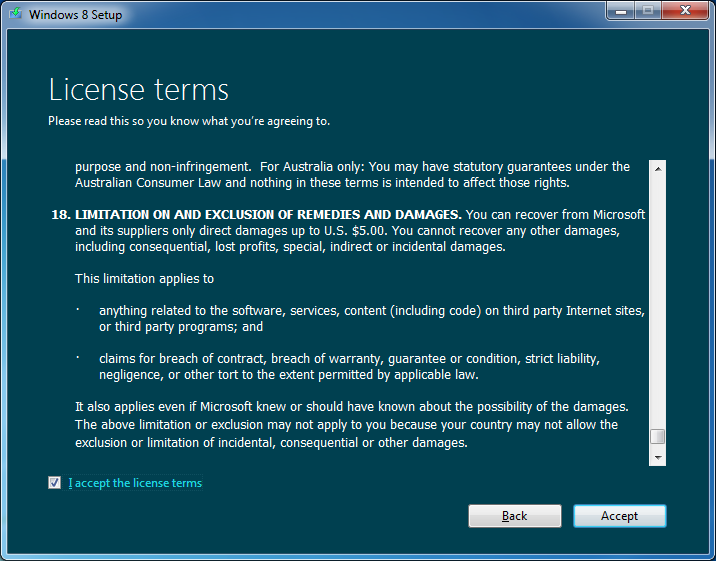 These are just some of the key areas where Windows 8 advances over Windows 7. They may or may not entice you, but if you are going to upgrade, here are some steps to help you make a smooth transition to Windows 8. One of the major differences between upgrading from Windows 7 compared to Windows Vista and XP is, Windows 8 allows you to preserve your installed applications when upgrading from Windows 7. This avoids the need to do things like reinstall hardware drivers and applications. Upgrading also preserves your Windows Settings too. In this scenario, I have a typical Windows 7 setup with some applications installed and some personal files stored in the Documents Library. In this scenario, we are going to upgrade to Windows 7 while looking at how it preserves your existing investments. Gather all important application discs and hardware driver discs you might need to be reinstalled. Check the manufacturer and software developers website for updates available and to find out about the status of compatibility with Windows 8. It is possible that if the software is compatible with Windows Vista it will likely work with Windows 8 since they share the same driver model. If you are using software such as iTunes or Adobe programs, remember to deauthorize and deactivate them before running setup. What you can do before attempting the upgrade? 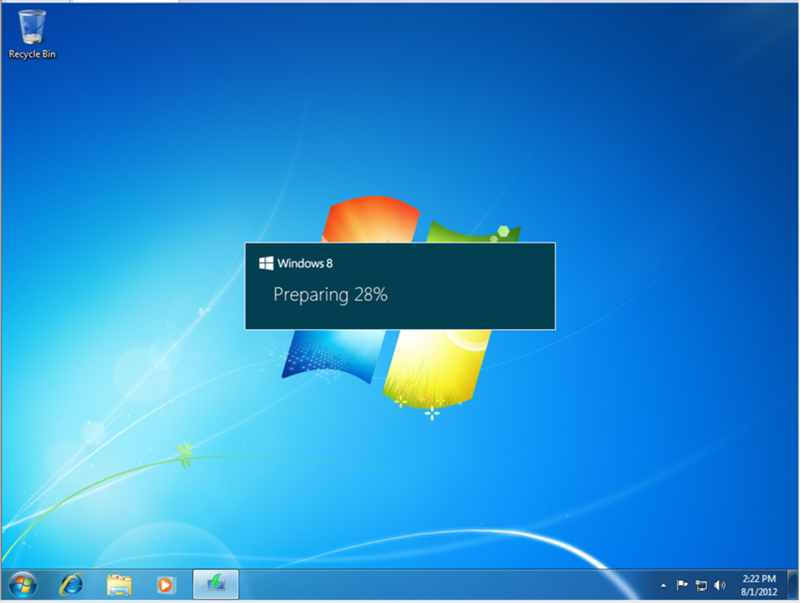 You can do some pre-requisite tasks to ensure a smooth migration from Windows 7 to Windows 8. If you are using a name branded computer such as a Dell or HP, go to the manufacturers website for the model computer you are using and download the latest available drivers for that computer. Store them on a disc or USB thumb drive. Important drivers you should try to obtain include Network and Video Drivers. Its possible that they might just have Windows Vista or Windows 7 drivers, those will work with Windows 8. My recommendations depend on what you have installed. If you currently have 32 bit Windows 7 installed, use 32 bit Windows 8. If you have 64 bit Windows 7, use 64 bit Windows 8. This is to ensure a smooth migration, especially where driver compatibility is concerned. Another factor is RAM. If you have max 3 GBs of RAM, then 32 bit should be sufficient for your needs. If you happen to have 4 to 8 GBs or more RAM, then 64 bit would be suitable. Windows 64 bit comes in handy when you need to address at least 4 GBs or more of RAM. Windows 32 bit can utilize up to 3.2 GBs of RAM. Because the memory address space is much larger for 64 bit Windows, that means, you need twice as much memory than 32 bit Windows to accomplish some of the same task, but you are able to do so much more, you can have more applications open, do things like run an Antivirus scan in the background without it affecting your system performance. Windows 64 bit is more secure too, malicious code cannot easily infiltrate it, drivers are more reliable since they must be signed before they can work with 64 bit Windows. As for compatibility, you will need 64 bit device drivers for any hardware devices you might have. Also, there is no 16 bit subsystem in Windows 64 bit, which means, your applications must be 32 bit only, not 16 bit installer or uninstallers. To start the installation, first boot to the Windows 7 desktop. 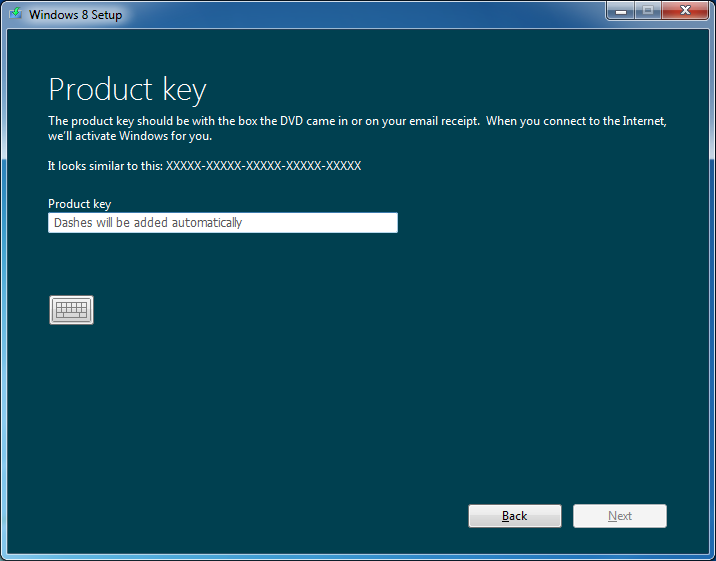 If you are installing Windows 8 from a physical DVD these instructions will apply to you. Insert the Windows 8 disc. 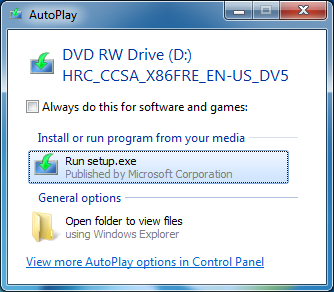 When the AutoPlay window appears, click ‘Run setup.exe’. Click Continue when prompted by User Account control. 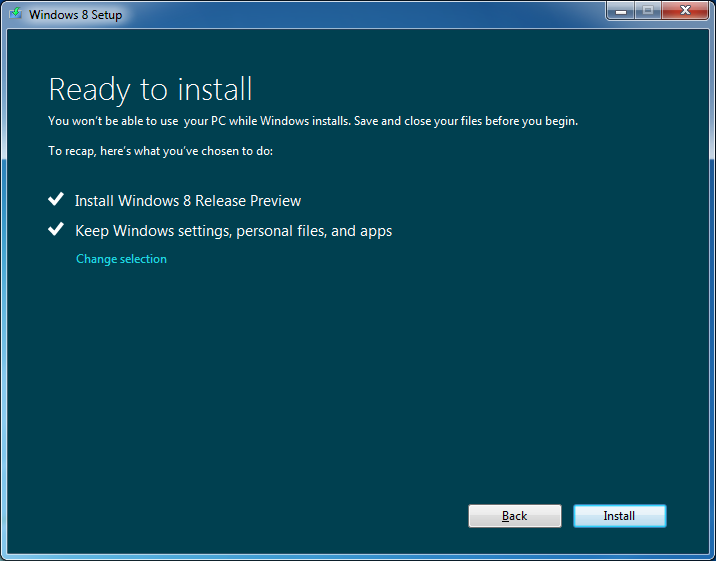 Wait while setup prepares to install Windows 8. If prompted to get updates, I recommend you do so. If you are not connected to the Internet, select ‘No, thanks’. Enter your product key. If you purchased Windows 8 from the Microsoft Store and you are using the Windows 8 Upgrade Assistant, the key will be embedded. If you download a .ISO file or purchased Windows 8 on DVD, check your email when you registered to purchase the upgrade or check your Windows 8 product packaging for the product key. After Entering the product key, click Next to continue with setup. In addition to being able to keep your Windows Settings and Personal files, you can keep your personal files too when upgrading from Windows 7. 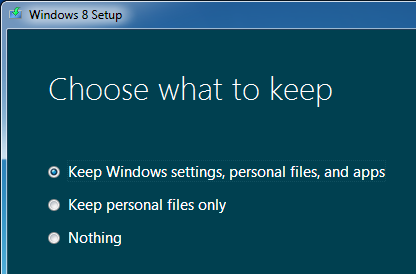 If you choose Nothing, Windows 8 will place your files in a folder called Windows.old. After making your decision, click Next. 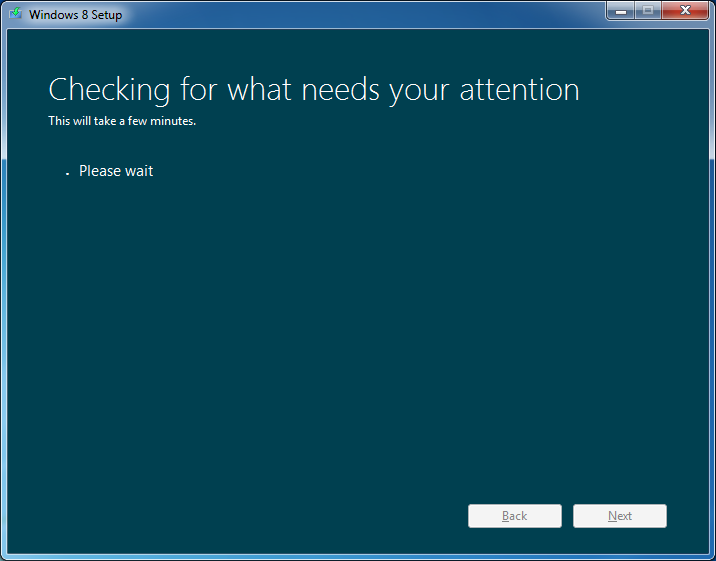 Wait while Windows 8 does some last checks. Depending on your configuration, Windows 8 setup might ask you to uninstall a program or driver then restart your system before it can proceed with the upgrade. Don’t worry though, Windows 8 will resume setup automatically. In my case, Windows 8 setup needed a restart before it could continue. 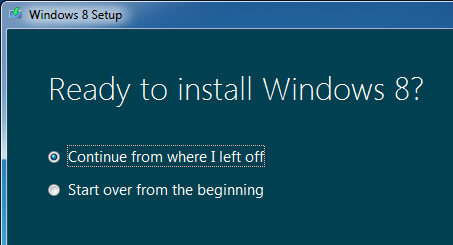 After restarting, Windows 8 setup, asked if I would like ‘Continue from where I left off’. I clicked Next and setup resumed. At the summary screen, review the changes that will be made to your computer. If you are not sure, click Back and make any appropriate changes. As noted, you will not be able to use your computer during this period. The time it takes to complete the upgrade will be dependent on your system specifications such as processor speed, memory and your data set. Click the Install button to begin. 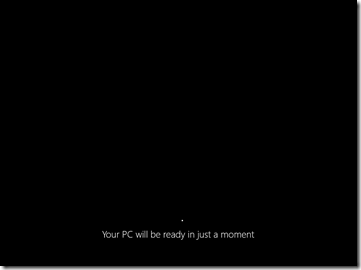 Windows 8 setup will go into full screen mode and restart several times. Then restart and setup will continue. 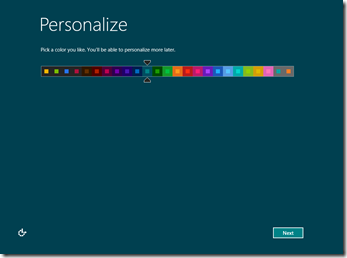 You will now arrive at the Out of Box Experience where you will setup and personalize your Windows experience. 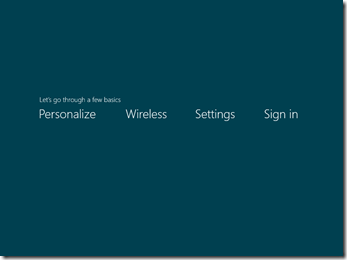 The settings screen screen allows you to customize whether you want to have Windows send information about Windows to Microsoft to ensure it runs smoothly. Click Use Express settings if you accept these actions. If you rather not, you can click Customize and make your choices. 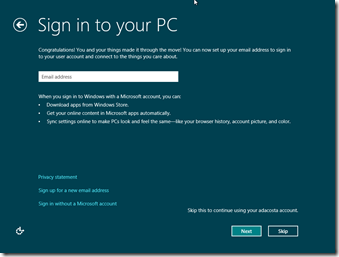 You have the option of setting up a Microsoft Account which allows you to sync your Windows Settings across multiple Windows 8 devices. You can sync some passwords, themes and application settings. If you don’t want to do that right now, click Skip. You can always switch to a Microsoft Account later. 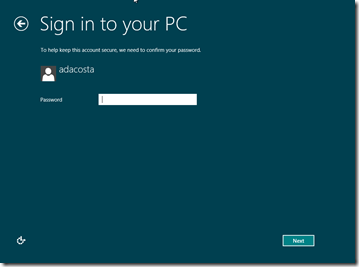 Windows 8 will instead use your existing account as a Local account. Wait while Windows 8 finalizes your settings. Wait while Windows 8 does some final configuration. You have successfully migrated from Windows Vista to Windows 8. To check if your files are there, launch the Windows Desktop App. 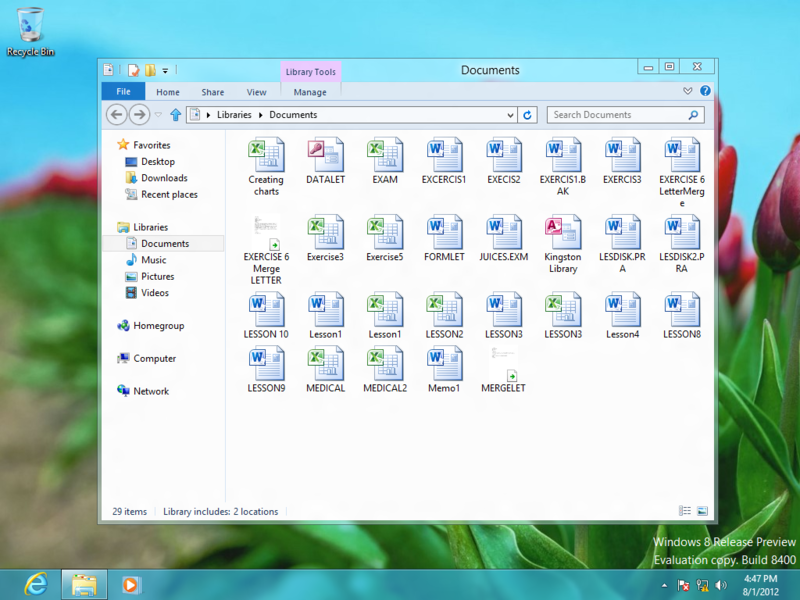 Launch File Explorer on the Windows Taskbar and open documents and you should see all your files previously in Windows 7. To launch your applications, go to the Start Screen by pointing your mouse pointer to the left hand corner of the Windows 8 screen and click it. Scroll to the right and launch your application. After “Getting your devices ready”, without “Getting system ready”, my laptop restart. And after Windows logo, it halt with a totaly black screen. This happen when I try to install Windows 8 RTM. 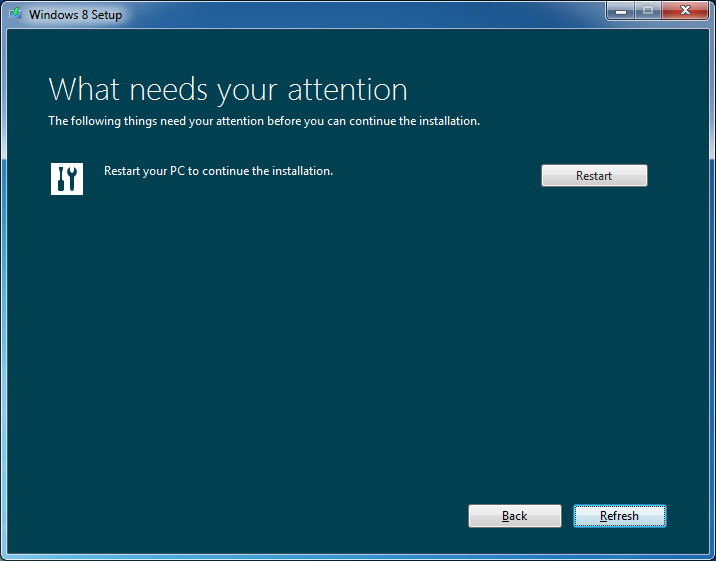 But if I install Windows 8 Release Preview, it working normally. I had that problem with my laptop, and after research I found out it was most likely a problem with display drivers. I spent so much time looking for the right drivers to work with Windows 8, but I couldn’t find any, so the only way I could use Windows 8 on that laptop was through an external display. i am looking for assistance. loaded w8 onto my w7 Acer D270 non of the apps will open come back with screen resolution is to small is there a way to fix or must i fit larger screen? gmeeg@bigpond.com is my address. you don’t explain how to set up from a download file? After upgrading from Windows 7 to Windows 8 Pro, problems started occurring, updates kept on reversing, until a message came up saying Previous Windows edition was restored, contact support at Microsoft. Windows does not start anymore, my computer is frozen. I would not recommend upgrading to Windows 8. It has been a complete failure in my case. Almost nothing you say about compatibility with existing applications is true. Windows 8 flagged several of my apps as incompatible, and I was required to purchase update. You should mention that the upgrade is NOT reversible, as every previous Windows has been; once you install Windows 8, you’re stuck with it. 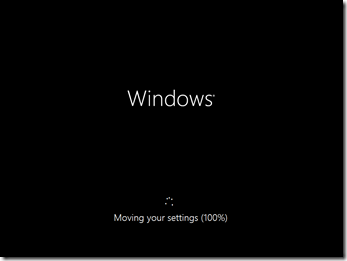 MAJOR gripe: Windows 8 silently uninstalls MS Virtual PC and makes XP Mode impossible to run. And there’s no turning back, no workaround. Knocking MS is popular; I’ve never been one of those. But this upgrade has infuriated me, and I feel that Microsoft was dangerously deceptive in offering this upgrade without more warnings. work and coverage! Keep up the wonderful works guys I’ve added you guys to my own blogroll. Just want to say your article is as amazing. The clearness in your post is just great and i can assume you’re an expert on this subject. Well with your permission allow me to grab your RSS feed to keep up to date with forthcoming post. Thanks a million and please continue the rewarding work. I upgraded from W7 Professional to W8 Pro. It upgraded successfully and showed up over 120 update items – down loaded and installed, then at the last stage after Configuring Windows Update 99%, message changed to Failure Configuring Windows Update, Reverting Changes and deleted all changes made. I reduced update items half and tried but same result. What should I do now? Thats a lot of updates to install. 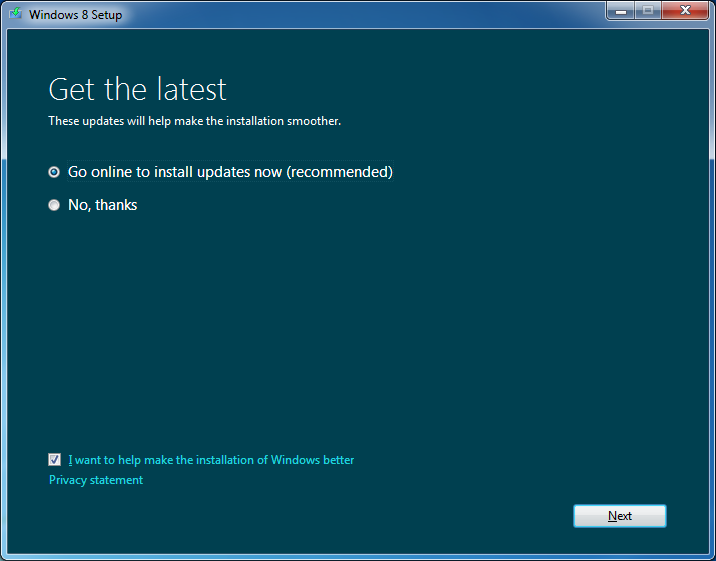 My recommendation would be to install the updates in batches, such 5 at a time, exclude hardware/driver updates. Avoid installing a combination of Microsoft Windows and Office updates at the same time. Also, try installing the small updates first. 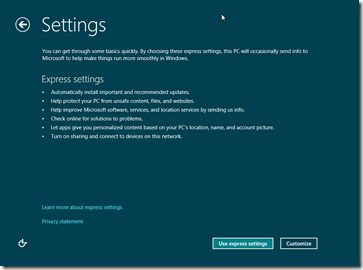 Avoid installing things like .NET Framework and SQL Express Updates. Restart each time you install the updates (its a chore, but it guarantees a more reliable experience). Try starting out with Microsoft Office Updates for programs such as (Word, Excel, Outlook, PowerPoint). Another thing, try downloading the updates then install them. When prompted to restart, disconnect from the Internet and restart your computer. Proceed with installing the additional updates. Once the Fixit has been downloaded and the system booted to the Clean state, check to see that the native Windows firewall is now On if a 3rd party firewall was being used previously. Now run the Fixit and choose the Default mode. Restart once it’s done and see if the system can connect to the update servers. If it can not, then run the Fixit again and choose the Aggressive mode. Restart when it’s finished running and check for updates. I suggest before shutting down and installing any updates, disconnect from the Internet first. Windows 7 also. Windows 10 took away all the videos I was working on.